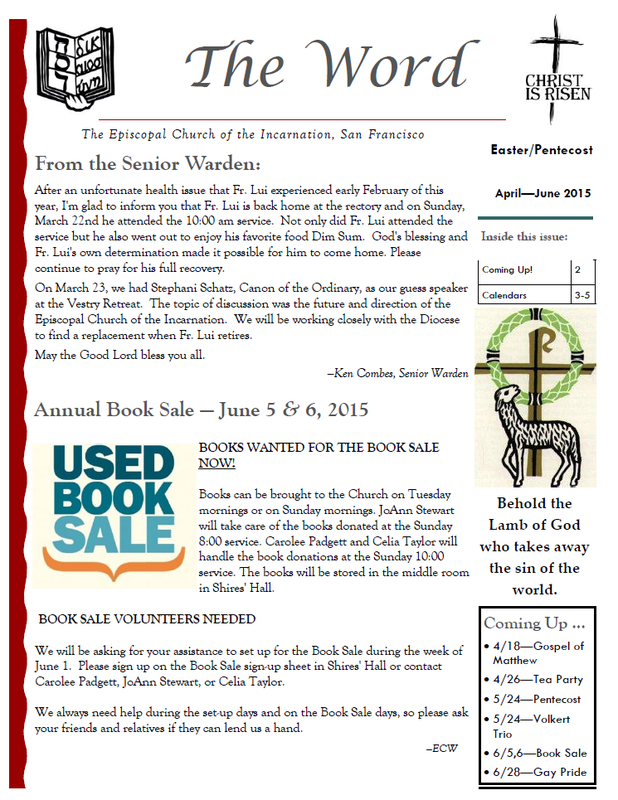 For a pdf version of the newsletter click here. 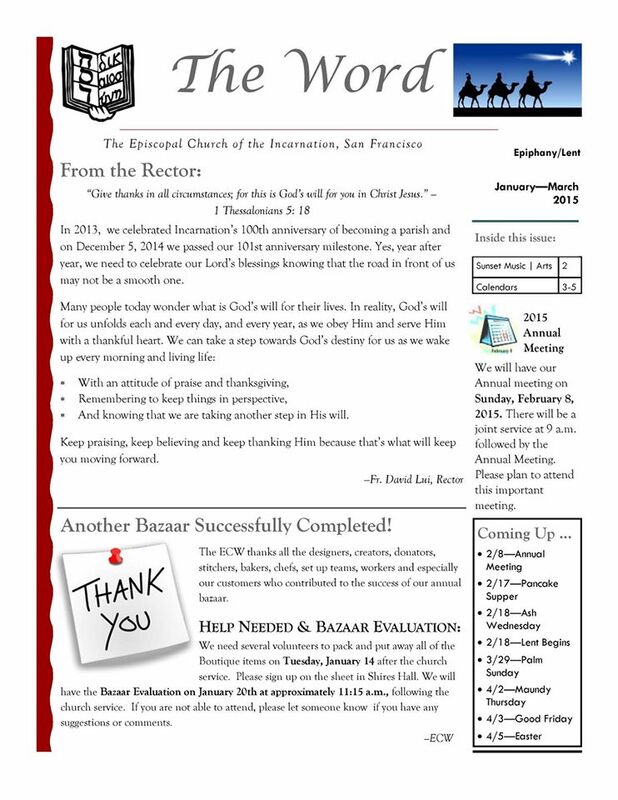 Click here for the January 2016 issue of the newsletter (Adobe flash is required). Click here for a pdf version. 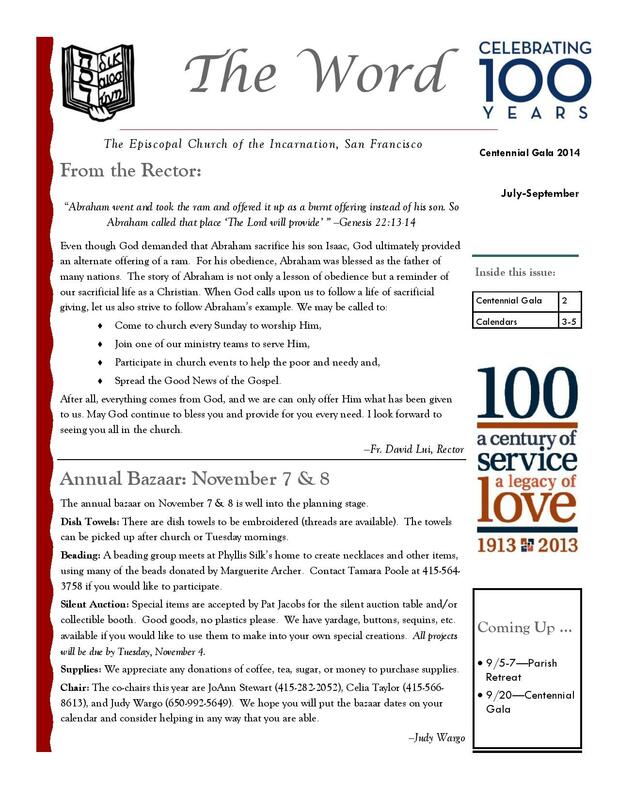 The October (Advent/Christmas) 2015 Edition of our quarterly newsletter, The Word, is now online! Read it here. View a flash enabled version of the newsletter below. 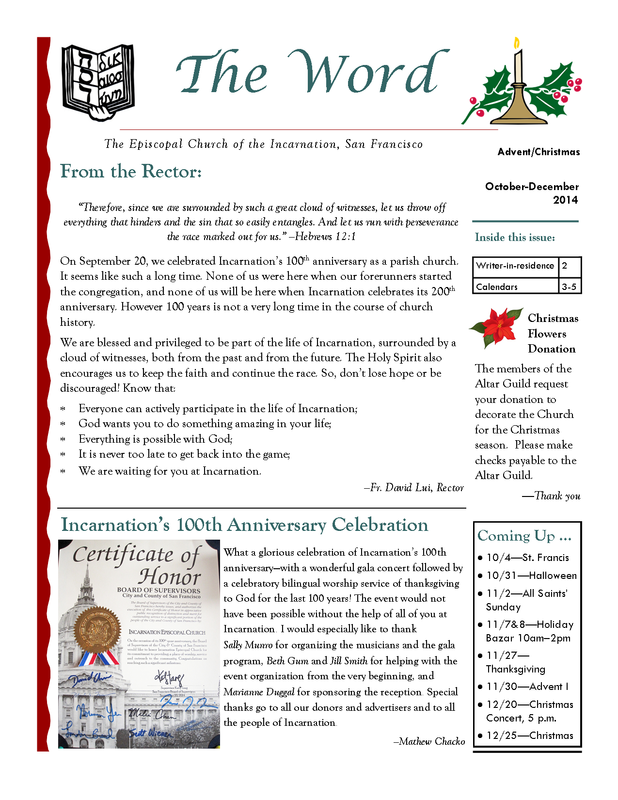 The July (Ordinary Time) 2015 Edition of our quarterly newsletter, The Word, is now online! Read the pdf version here. 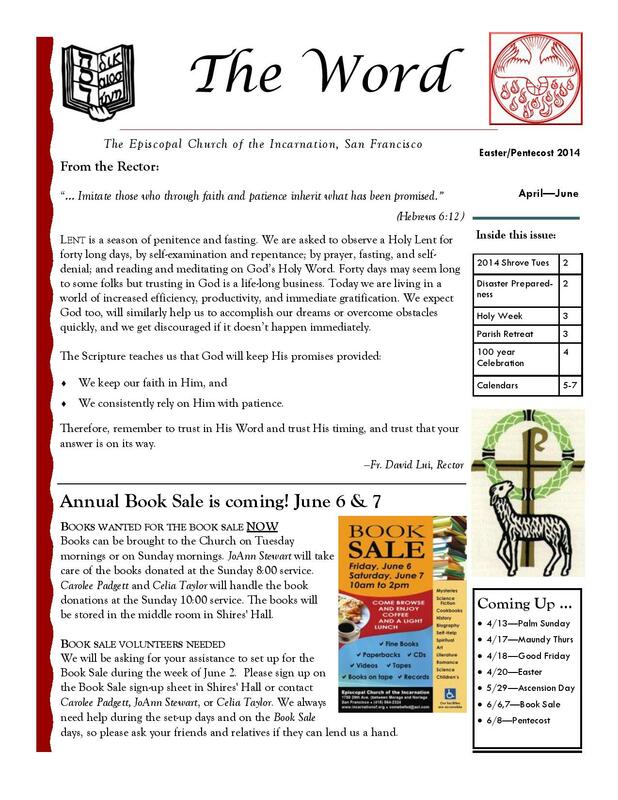 The April(Easter/Pentecost) 2015 Edition of our quarterly newsletter, The Word, is now online! Read it here. The January (Epiphany/Lent) 2015 Edition of our quarterly newsletter, The Word, is now online! Read it here. The October (Fall/Winter) 2014 Edition of our quarterly newsletter, The Word, is now online! Read it here. The July 2014 Edition of our quarterly newsletter, The Word, is now online! Read it here.